The precise origin of the blues is unknown, but one of the hotbeds for this style of music in Mississippi was Dockery Farms. Located just east of the Cleveland city limits, this one-time cotton plantation employed many African American workers, offering them fair contracts during a time of great injustice. A few of the workers became blues pioneers and created a culture that inspired countless generations of aspiring musicians. One of the most famous blues musicians to come from Dockery Farms was Charley Patton, whose family moved there in 1900. Patton became a student of Henry Sloan, who, according to the Dockery Farm Foundation, "is named as a key influence by every Delta blues musician." The relationship that developed between them became the cornerstone of a new tradition of sharing talent and ideas. This phenomenon spread like wildfire amongst the brethren to create the Delta blues genre. Jim decided to stop by Dockery Farms while traveling through the south, on a mission to further explore the elusive origin of the blues. He met Bill Lester, the Dockery Foundation Executive Director, who was available to give Jim the history and the accompanying tour of the Farm. 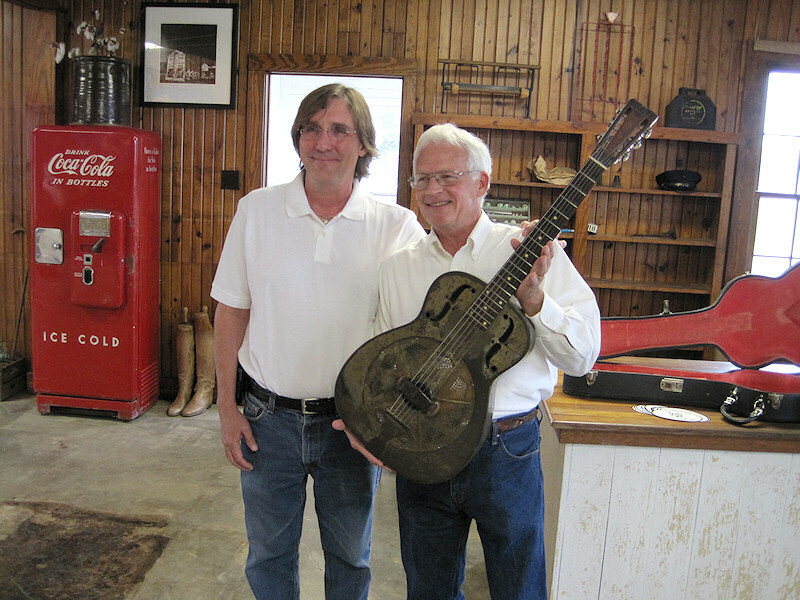 Jim fell deeper in love with the heritage of music surrounding Dockery Farms, and when Bill mentioned the Foundation was looking for a resonator, Jim felt compelled to honor this home of the blues and began his search. 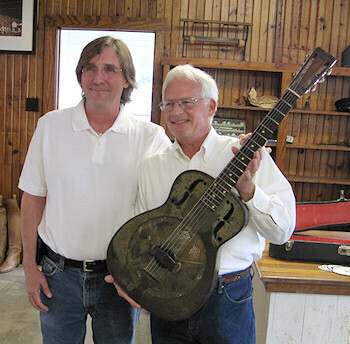 About a month later, Jim returned to Dockery to donate a 1932 National metal-bodied resonator. 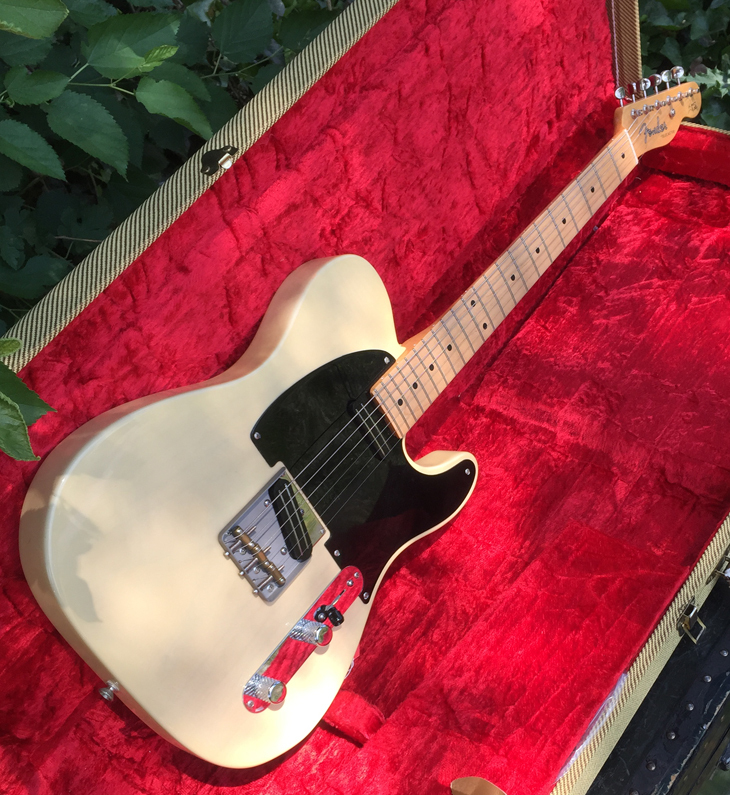 Although the exact history of this particular guitar is unknown, there is a possibility this guitar may have been played on the commissary front porch. This donated piece of history is just one of many artifacts at the plantation available for public viewing. For more information on the Dockery Foundation or to schedule a tour, please visit www.dockeryfarms.org.